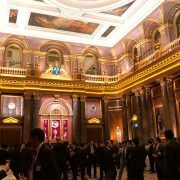 Opening the New Year with a toast of sake is Japan’s time-honoured custom, and it was our great pleasure to start 2018 supporting the annual reception at the Japan Chamber of Commerce and Industry (JCCI) at the magnificent Draper’s Hall in the City of London. 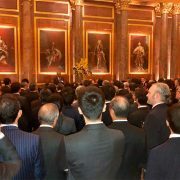 A record-breaking number of 470 members and friends attended to fill the grand hall to celebrate the new year. 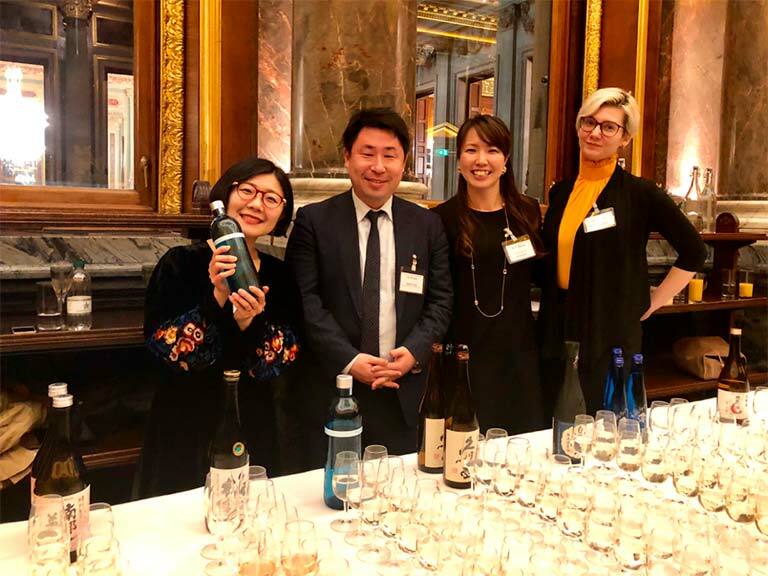 This year, over twenty sought-after sake brands were exhibited and courteously served by London’s leading sake experts. 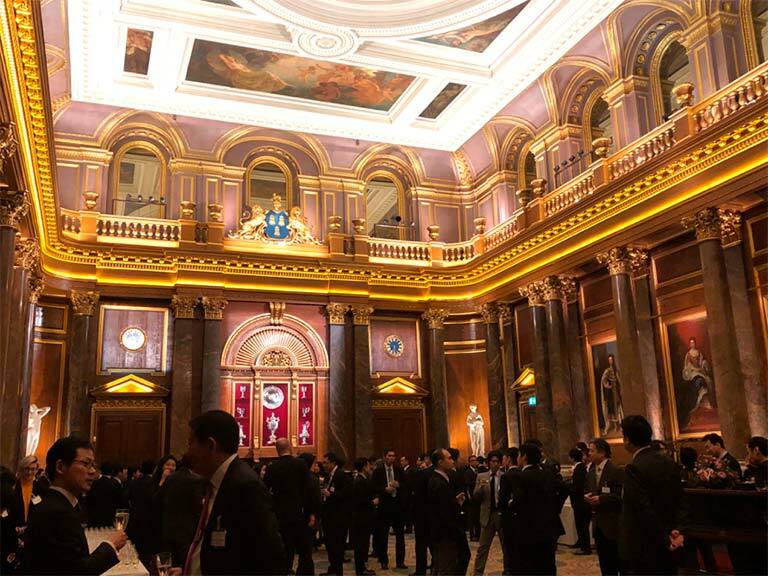 We are proud to say that our collaboration has become the unmissable attraction for this grand annual event. 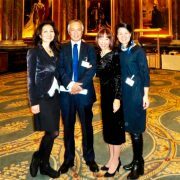 The Ambassador Mr Koji Tsuruoka was present, alongside a number of his colleagues from the Embassy of Japan and gave a fine speech together with the JCCI President Mr Atsushi Kume, as did guest of honour Mr Michael Charlton, Chief Investment Officer at the Department for International Trade. 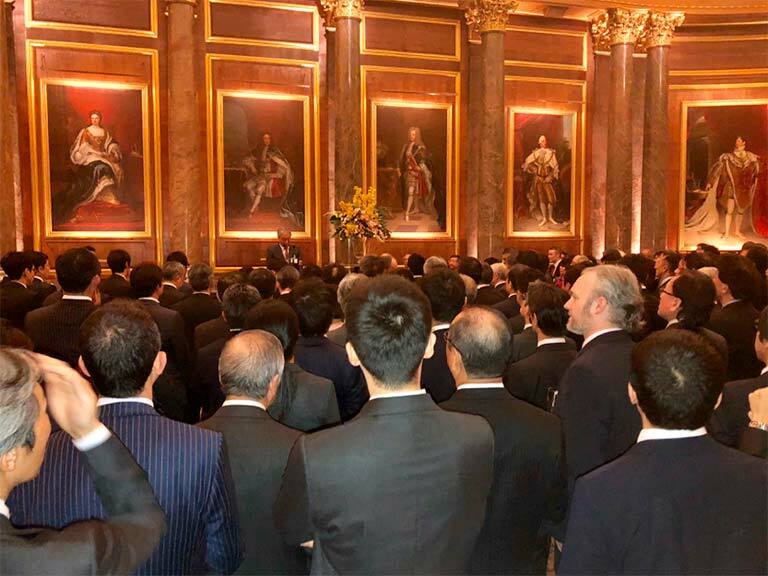 The toast was delivered by Mr Masahiro Kuwahara, JCCI Vice President. 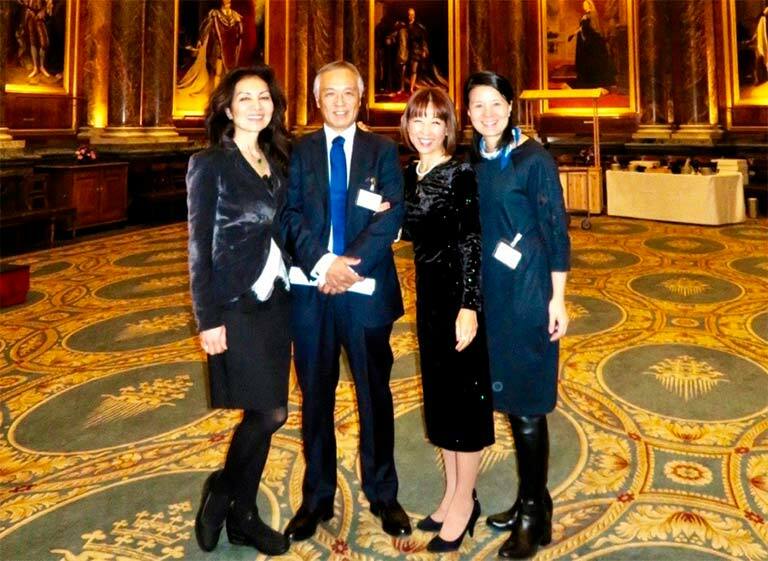 The atmosphere in the early stages of the event was set by Ms Keiko Kitamura’s elegant koto playing. 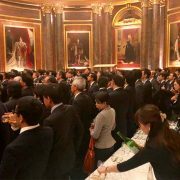 Meanwhile, a wide range of excellent sake was arranged by Sake Samurai with World Sake Imports and Tazaki Foods. 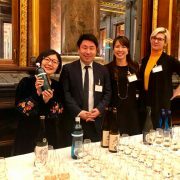 Throughout the evening, the sake corner was surrounded by sake lovers eager to sample their favourites as well as to explore new stars, and these were perfectly complemented with an excellent selection of Japanese food on offer from TK Trading. 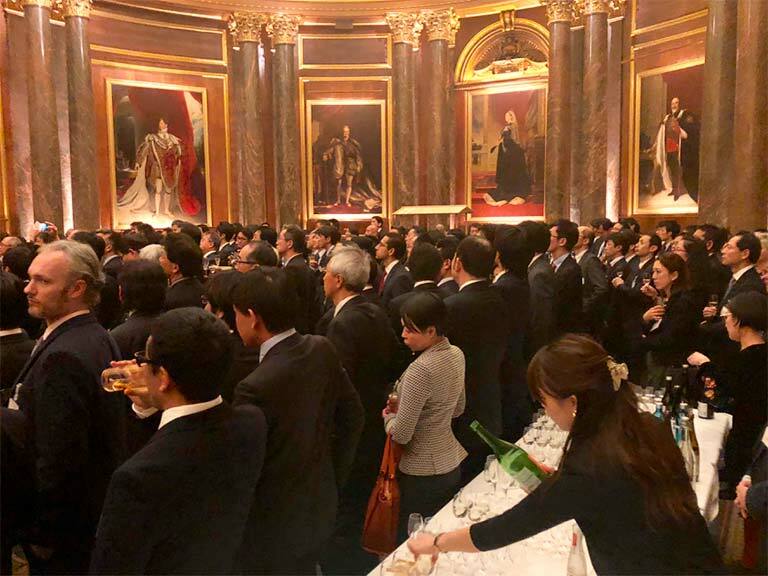 Japanese indigenous Koshu wines were also on show to accentuate the night with Japanese national delicacies. On leaving, the guests’ rosy cheeks spoke both of the success of the event and, of course, the popularity of all those delicious beverages!